...posted yesterday, here. It comes at minute 2:37 and I ended up dreaming about it last night. To quote Yeats out of context, a terrible beauty is born. 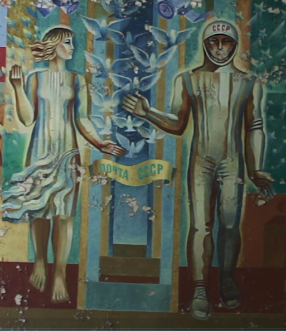 UPDATE: Reader PR mails in with a better photo of same and informs your author that it's part of a mural found in what's left of the Pripyat post office. Thank you PR.